Michael Thomas has been named chair of the Department of Pharmacy Practice in Samford University’s McWhorter School of Pharmacy, effective August 15, 2016. 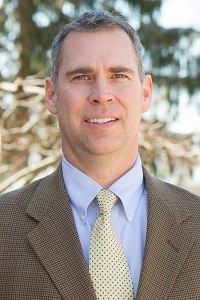 Thomas, an accomplished educator and administrator, currently serves as vice chair and clinical associate professor for Western New England University College of Pharmacy’s Department of Pharmacy Practice in Springfield, Massachusetts. In 2015, Thomas was elected Fellow of the American College of Clinical Pharmacy. He has authored numerous publications and is a frequently invited speaker at professional meetings nationwide. He has received recognition for his contributions to clinical pharmacy and pharmacy education and was a 2013 recipient of the American Society of Health-System Pharmacists Pharmacy Practice Research Award. Thomas earned his Pharm.D. from the University of Arizona and completed a post-doctoral pharmacy practice residency at Arizona Health Sciences Center, Tucson, Arizona. He spent more than a decade as a clinical pharmacist and then adjunct professor with Ferris State University before joining the faculty at South University School of Pharmacy in Savannah, Georgia and eventually Western New England College of Pharmacy. Samford’s McWhorter School of Pharmacy has a long history of preparing exemplary graduates who transform lives through pharmacy. Learn more.